An individual with bowlegs gives the appearance that the knees are rotated away from one another. A predisposition of almost every baby, the legs bend en utero in order to fit in the uterus, but bowlegs don’t appear until toddlerhood when a child begins to walk. Most often, the condition corrects itself by the age of 4 or 5. 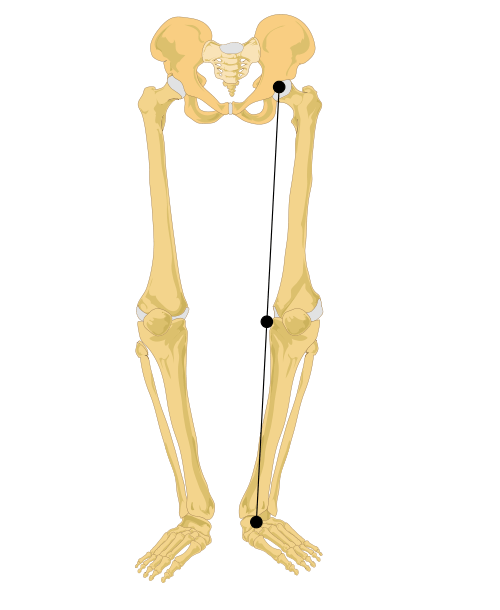 Generally, bowlegs don’t present problems even in adulthood and are considered normal, but some individuals experience mild pain and stiffness in the knees. The implications of childhood physiological genu varum are not well-known because it is a condition that is largely accepted as normal. Bowlegged dancers experience a number of challenges. Most notable, perhaps is an aesthetic challenge because the knees never appear to be fully straight. Also, the feet will appear to be “sickled” when, in fact, they are not. The dancer will not be able to stand in first position without separating the heels because the knees will not fully straighten when the legs are laterally rotated. He/she may also be more prone to Achilles tendonitis, ankle sprain, and peroneus longus and brevis tendonitis due to the weight of the body being continually placed over the lateral border of the foot. ** Note: Fact sheets are compiled from peer-reviewed resources, and is intended for reference only. For a complete list of references, click here. In the event of an injury, seek advice from a licensed health professional. The original content of this site is protected by copyright and may be shared, but not be republished without permission. For full disclaimers and disclosures, visit our policies.